With Easter only a hop skip and a jump away, we thought we share what the bunny will be bringing our little ones this year (he gave us a little behind the scenes intel). My kids love their baskets. Years ago I bought them coordinating ones like these from Pottery Barn Kids (Currently they are on sale for $15.50 with free shipping.). They get so excited every year when I pull them out and instantly Cute starts practicing with pretend hunts all over our house. 1: Stuffed Bunny - Nothing says Easter like a stuffed bunny. 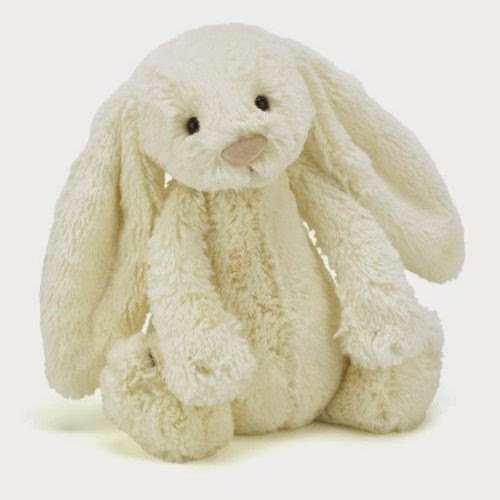 I found this adorable little Jellycat stuffed bunny for Little Cute and I already know it well receive lots of cuddles. It comes in a variety of sizes and colors, but I purchased this neutral one in medium. 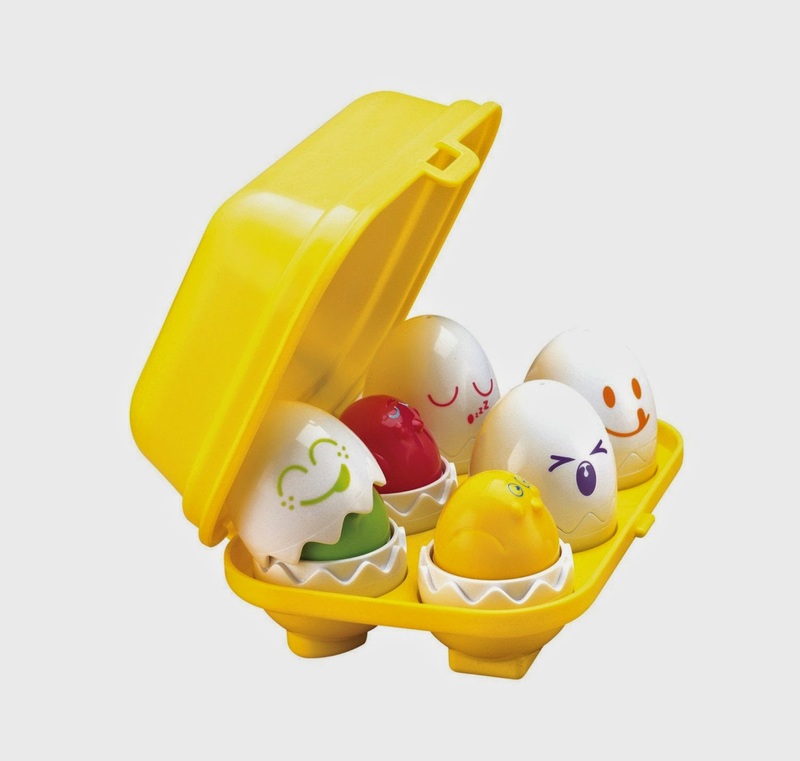 2: Hide & Squeak Eggs - This little Hide N Squeak Egg game is perfect for this age group and in keeping with the spring/Easter theme. Little ones crack on the eggs to reveal the chicks hiding inside. All are removable and interchangeable and when you press down on the chicks they even chirp. 3: Books - Board books are always so fun and I found two for Little Cute's basket. 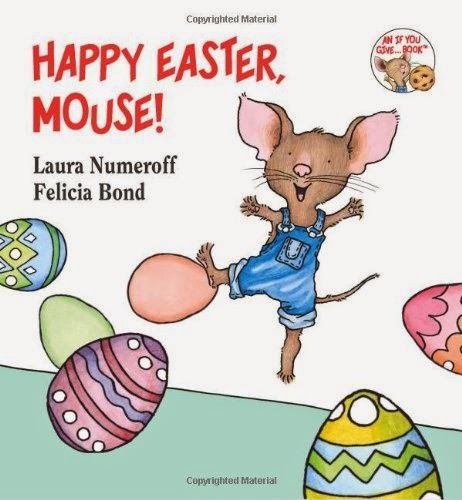 Happy Easter Mouse by Laura Numeroff is a fun simple story that will most definitely appeal to this age group. I also purchased the Easter Bunny (Baby Touch and Feel) book by Roger Priddy. It has adorable rhyming pages filled with animals your little one can touch and interact with to encourage their senses and imagination. 4: Treats & Fillers - This age group loves bubbles and that is just what Little Cute will be getting in her basket. 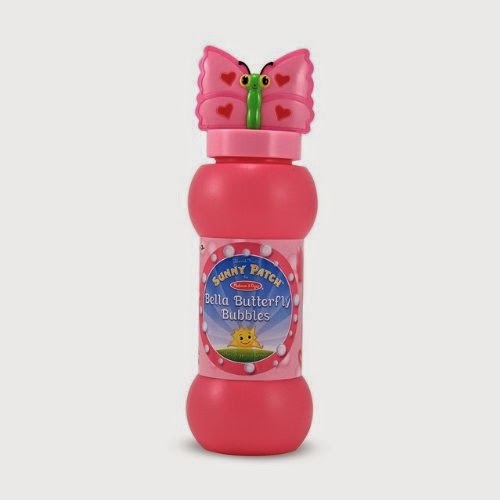 I thought these Melissa and Doug butterfly bubbles were the perfect little addition (they also come in a cute turtle and snake option). 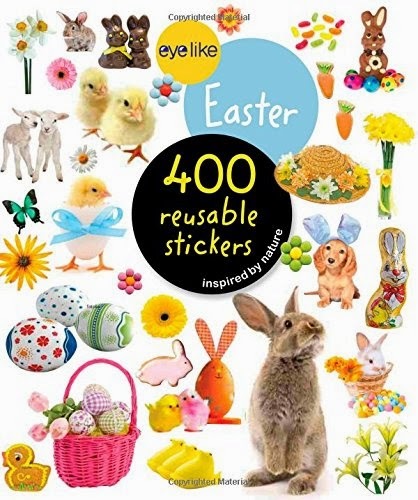 Stickers are also a huge hit for Little Cute, and I found this reusable Easter sticker book. I love that she will be to use the stickers over and over considering she can go through a sheet of stickers in .2 seconds. 1: Magnets - My son loves building things, especially with Lego's or blocks. 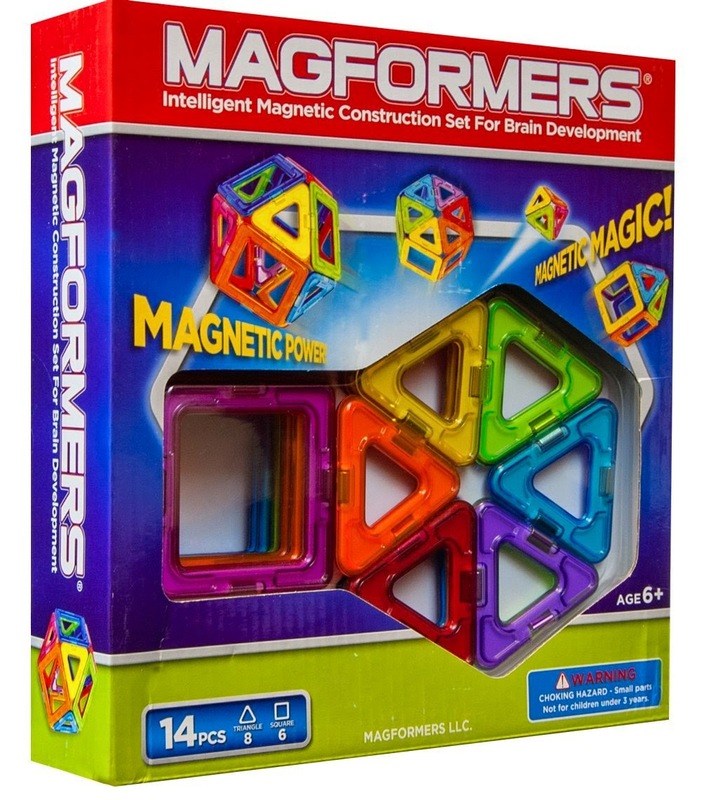 This magnetic construction set is right up his alley and is great for helping with motor skill development. They make larger sets, as well as ones in pink/purple tones, but I thought this size was perfect to fit in an Easter basket. 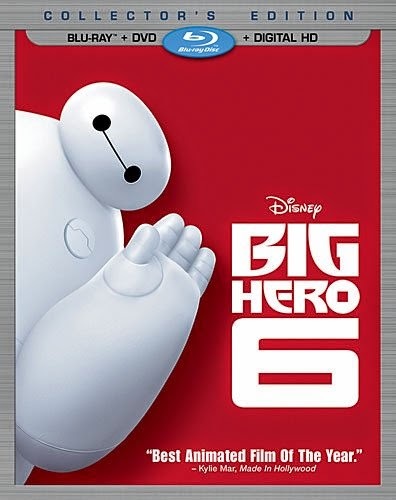 2: Big Hero 6 Movie - My son loved seeing Disney's Big Hero 6 a few months ago with Carrie Beth's son Boo-Boo. In fact, CB's hubby took all three of their children to see it again shortly after we saw it, and the girls loved it too. It was such an adorable movie that I thought it would be the perfect addition to his Easter basket. He is going to be so excited to see Big Hero 6 again! 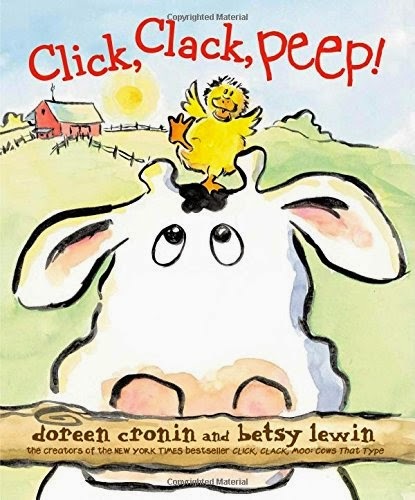 3: Books - Doreen Cronin's Click Clack series is always a huge hit in our house. Click, Clack, Peep! is the newest addition to the series and I know Cute will be so excited to read this cute new story of Farmer Brown and the silly animals. 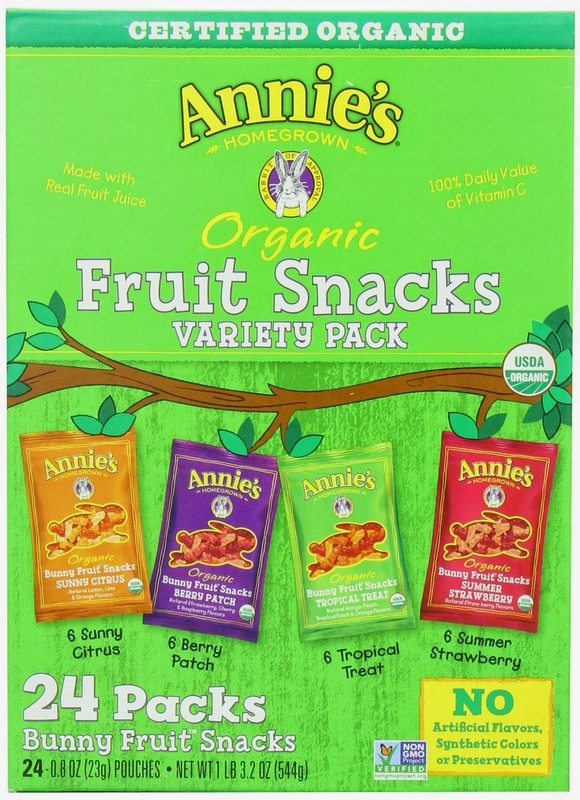 4: Treats & Fillers - I am all about the Annie's snack line and love that the Fruit Snacks, grahams, and crackers come in bunny shapes...perfect for Easter! I am also planning on putting some fun chapstick in Cute's basket. He loves using it just as much as his parents do and also loses those tiny little tubes just as much as his parents do. The bunny might just have to bring him a refill. There you have it - our Easter basket sneak peek for this year. My children are still young and would love to hear your suggestions for older children's Easter basket treats! Now it's time to share! What will be in your little ones baskets? I love those fillers! Very similar to mine!! :) Happy Monday! What a great round-up. My kids are big Big Hero 6 fans and I love the magnets for creative play. Stopping by from Mom Bloggers. Hi!! Thank you for stopping by! Love Big Hero 6, and I have a feeling the magnets are going to be a huge hit. Whenever he gets some he plays for hours!